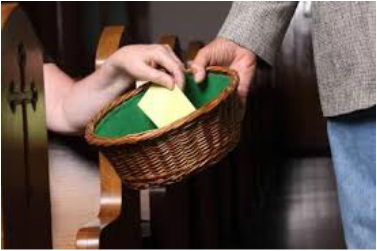 Replace envelopes with on-line deductions from your checking account or credit card. When you click on the buttons below, follow the easy directions to give as a guest or to register. If you are making a payment for Religious Ed, please be sure to choose Religious Ed Payments. 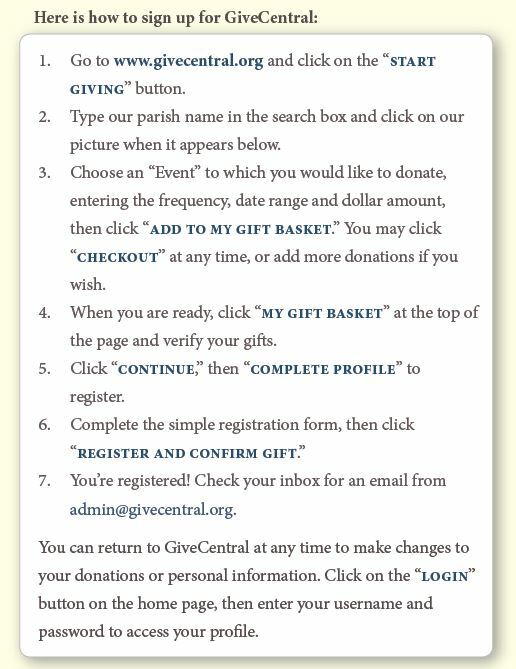 You can donate through Give Central for your Sunday offering, St. Vincent de Paul, Flower Fund Memorials, and many others. Please read the instructions and use the buttons below to make your donations. If you prefer, you may choose to use an automated charge authorization form. Click here to print one out. Please use these forms when you pay online.